Diane Morais joined Ally in 2008, and is responsible for driving the growth, profitability, and digital evolution of Ally’s consumer and commercial banking products. She has oversight of the Deposits, Online Brokerage and Wealth Management, Mortgage, Credit Card, and Corporate Finance businesses. In addition, Morais oversees the company’s digital and customer care channels, as well as the Community Reinvestment Act (CRA) program. Morais was instrumental in the creation and launch of the Ally brand in 2009. Under Morais’ leadership, Ally Bank has achieved double-digit retail deposit growth each year, and now has more than 1.6 million customers and over $90 billion in retail deposits. Ally has received numerous third-party accolades, including being named “Best Online Bank” in America by Money® Magazine, as well as “Best Internet Bank” and “Best for Millennials” by Kiplinger’s Personal Finance. Prior to holding key leadership positions of increasing responsibility at Ally, Morais achieved a number of significant professional accomplishments in the financial services sector. During a career spanning twelve years at Bank of America, she served in senior roles in deposit and debit products, national customer experience, card services marketing and consumer mortgage vendor management. Morais also spent nine years at Citibank’s credit card division in a variety of marketing, risk and finance roles. A native of Pittsburgh, PA, Morais holds a bachelor’s degree from Pennsylvania State University. She is a member of the board of directors for Junior Achievement of Central Carolinas and Charlotte Center City Partners. In September 2018, Morais was named to American Banker Magazine’s ‘25 Most Powerful Women in Banking’ list for the third consecutive year. Morais was also named one of the top 25 outstanding business women in the Charlotte Business Journal’s 2018 Women in Business Awards. 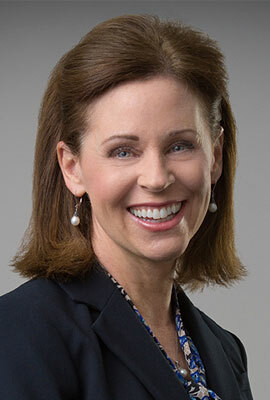 She is active in the Charlotte community, serving as an “Executive in Residence” for Queens University and volunteer for Habitat for Humanity, Charlotte Catholic schools, and Dress for Success.